Every few years the Stickman announces he needs a new pair of glasses. And I sigh. Because it's not going to be a quick shopping trip. Over weeks (sometimes months), we'll visit the opticians, try on every single pair, make a shortlist, try them on again, take photos (to evaluate/scrutinise later) and then go home again. Eventually (although not necessarily always), the Stickman decides on a pair of frames and our work is done. This time I had a head start. 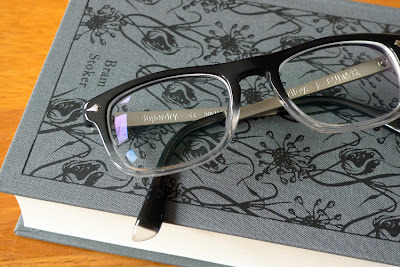 I'd heard that cult British fashion label Superdry had branched out into specs last season and with several of my colleagues (both male and female) sporting their frames, I thought it was worth checking out. So I steered the Stickman in the direction of Vision Express, the exclusive high-street stockist of Superdry glasses. He was impressed. With a wide selection of classic styles – eight are unisex, six are women and one is men's – in modern materials and finishes, the quality of the Superdry frames is outstanding. What makes them stand out? The retro twist. Superdry's debut collection of frames offer a vintage look, based on iconic 1950s styles (so this season), with a contemporary feel. And, just like its clothing line, the frames echo the Superdry brand: style, material, detail and quality are paramount. Which is why, after the first trying-on session, we left the store whispering, 'What's the catch?' Because at £110 to £135, the quality far exceeds the price tag. There's the seven-barrel chrome hinges for starters. Bamboo or leather arms. Zinc finishings. 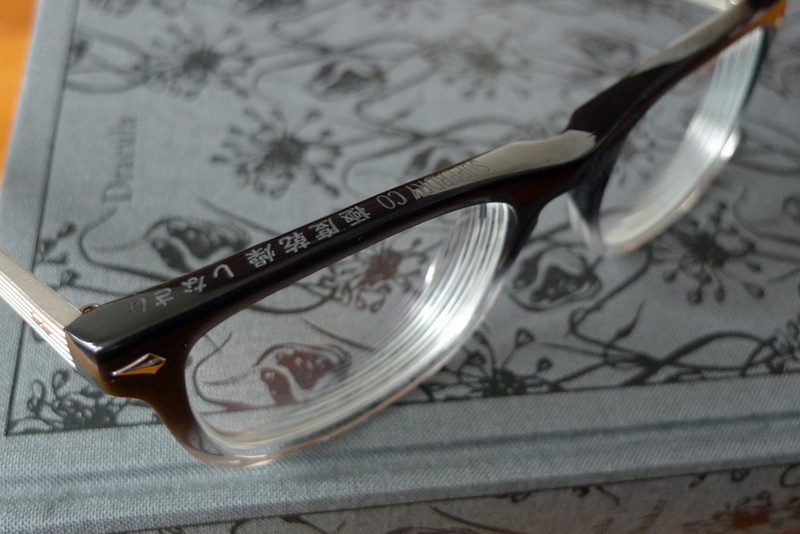 Premium acetate. Finishes in jet black, rich tortoiseshell and colour fading. Hand-crafted workmanship. The list goes on. I like all the touches you get. Like the hand-embossed Superdry enscription etched along the top of the frames, the personalised frame names (Dean, Brando, Depp, Caine and Honor to name but a few) engraved into the inner arm and the retro pencil case-like box they come in. These frames are so achingly cool, it hurts. So, what did the Stickman end up getting? The Riley frames in a black fade colourway and zinc arms (above and below). He loves them so much I think my job is done for the next couple of years! 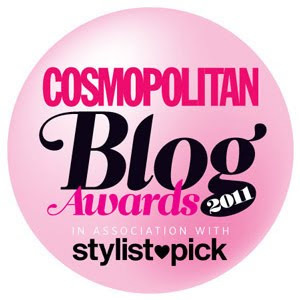 You used to follow me a while back on my old blog and I've followed you since as I love your blog! Is there any chance you can take a look at my new blog as I've just started up and need to get the word around? So pleased you still love the blog.